Effective cyber defense must withstand changes to adversary tactics and tools that traditional non-integrated “best of breed” approaches cannot address. It must address advanced unknown threats as well as known threats. Resiliency and defense across the Cyber Attack Chain comes from protecting and defending systems at all places in the network, across all network traffic on endpoints, in data centers, in remote locations, public and private clouds and at major Internet gateways. 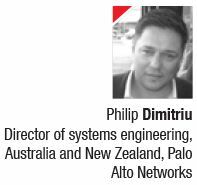 Philip Dimitriu, director of systems engineering, Australia and New Zealand, Palo Alto Networks, said, “Most business leaders are at a point where they fully understand the need for digital transformation and it can be frustrating for them to be told that they need to slow down or avoid implementing certain projects because existing security measures are inaccurate. One of the key stumbling blocks for organisations in the midst of digital transformation is overcoming cultural contributors to poor security…Click here to read full article.